The Short Version: Every couple needs to recharge from time to time. One of the best ways to unplug from everyday stressors and reconnect with a loved one is to get away to a remote area. Couples can unwind in the Finger Lakes of New York state, where they can enjoy nature activities, cultural events, and scrumptious food. The Finger Lakes is comprised of 11 finger-shaped lakes, which are home to scenic beauty, a charming community, and culinary destinations. The farm-to-table fare beckons you to explore Linden Street and beyond. You can hit the slopes in winter or kayak in spring — whatever floats your boat. Whether your dream weekend is filled with outdoor activities or savoring a glass of wine by the lake, it’s all possible at the Finger Lakes. Everyday life can be rough on relationships. Whether you lack free time to spend with your partner or work stresses have you both in a tizzy, it’s easy to procrastinate relationship maintenance. You promise yourself you’ll make time to talk this weekend, but then it gets postponed again and again. If that’s the case, it may be time to put in a PTO request and plan a romantic getaway with your special someone, so you can relax, reconnect, and give your relationship some TLC. Vacations have the power to improve your view on life and boost your relationship. Even short vacations can have tremendous benefits on your love life. Couples looking to plan a stress-free vacation with cozy accommodations, daytime diversions, and delicious food need to look no further than the Finger Lakes in Ontario County, New York. Scenic views, a friendly community, and an abundance of activities can help you and your partner reconnect. The Finger Lakes boasts many outdoor areas where couples can get moving. Fresh air, crystalline lakes, farmscapes, hills, and forests beg to be explored in this pastoral wonderland. Visitors can hike, bike, and enjoy other outdoor activities in Ontario County — 4,413 square miles of countryside that also offers snowshoe, golf, and canoeing. The picturesque surroundings of the Finger Lakes make a lovely backdrop for an outdoor date. 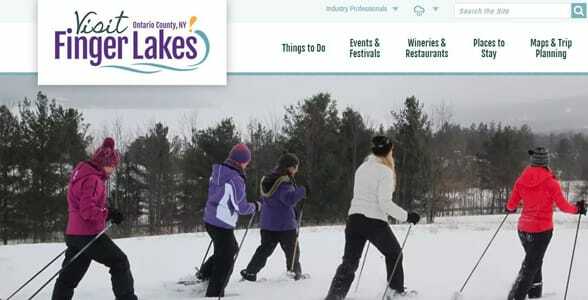 Of course, in the winter, the Finger Lakes welcomes skiers of all experience levels. Couples can book a ski-and-stay to ski and snowboard the day away for an affordable price at nearby Bristol Mountain. The Finger Lakes also has an impressive fishing scene. The lakes offer both cold and warm water fishing, including lake trout, black bass, Atlantic salmon, and walleye. You can ice fish in the Finger Lakes as well. Food, Wine, and Craft Beers, Oh My! A vacation just isn’t a vacation without inspired eats and drinks to share while you plan your day. The Finger Lakes features an array of farm-to-table dining options as well as roadside diners and hipster gastropubs. Whether you want a greasy burger or an elevated multicourse meal, the Finger Lakes has the nosh for you. Christen recommended a few date spots for hungry couples. “The New York Wine and Culinary Center would be one of my top choices for a date night,” she said. “They have lots of classes you can take. They do everything from wine pairings and wine tastings to making your own pizza dough. They have lots of fun events there you can take a date to.” The culinary center is a one-of-a-kind gateway to New York’s best foods, wines, beers, and other products. 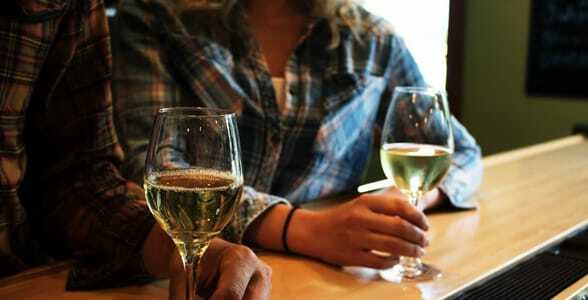 You and your date can take a wine class or tasting at the New York Wine and Culinary Center. To experience the region’s nightlife, you can head to Linden Street in Geneva, where the local establishments serve up craft beverages, and the Smith Opera House down the street always has a show going on to entertain people. Daters shouldn’t miss F.L.X. Table, which USA Today named the best new restaurant in its 10 Best Readers’ Choice awards of 2017. What makes this restaurant stand out is that each evening it serves a set five-course menu of seasonal products that will change regularly. Another of F.L.X. Table’s unique aspects is its single communal table that only seats 12 people. Meanwhile, the Rochester-Finger Lakes Craft Beverage Trail showcases the signature beverages of about 30 wineries, breweries, distilleries, and cideries. You could spend a few days exploring artisanal drinks on this trail. If you want to elevate your experience, Belhurst Castle would be the perfect fit. The castle’s old-fashioned look and high-quality restaurants make for a memorable stay. It even has a spa and winery where guests can unwind. The Finger Lakes has many traditional inns, hotels, and resorts as well as unique lodging accommodations. You can truly create your most comfortable experience with the options available. 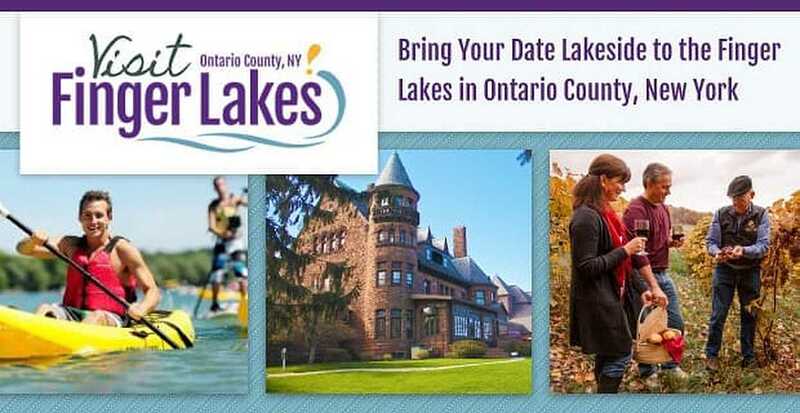 The Finger Lakes has no shortage of events and festivals going on all year round. No matter when you visit, there’s sure to be plenty to do. Sonnenberg Gardens and Mansion hosts several events for visitors and residents looking for a picturesque place to spend a day or evening. The annual Roses & Rosès and Midnight Stroll Music Series takes place here. It’s definitely worth a visit in the warmer months. While the area hosts many activities and events, and is home to top-notch places to eat, what many couples most enjoy about the Finger Lakes is its peaceful setting. The majestic scenery is both inspiring and relaxing, giving couples a much-needed break from the hectic everyday. You can reconnect with your loved one and improve the quality of your life by visiting this romantic getaway.